Welcome to your first holiday at ONE Mission Bay! We shared with you some of our top holiday activities last month, but we’ve gathered a few more standout options to make this season at OMB and San Francisco one to remember forever. Holiday Lights Double Decker Night Tour – All aboard the double-decker bus! City Sightseeing is offering special 90-minute holiday lights night tours throughout the month of December complete with holiday songs, games, gifts, and complimentary hot chocolate before the tour starts. 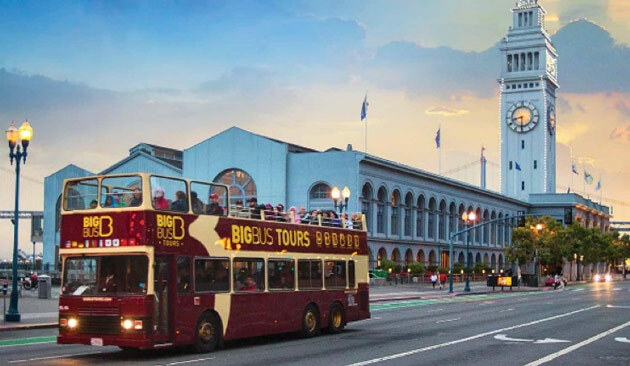 See the seasonal sights as the tour takes your through Fisherman’s Wharf, Pier 39, Union Square, Civic Center, Embarcadero, Bay Bridge, and Treasure Island, all while being entertained by a live guide. Tickets start at $29.99; be sure to dress warmly! 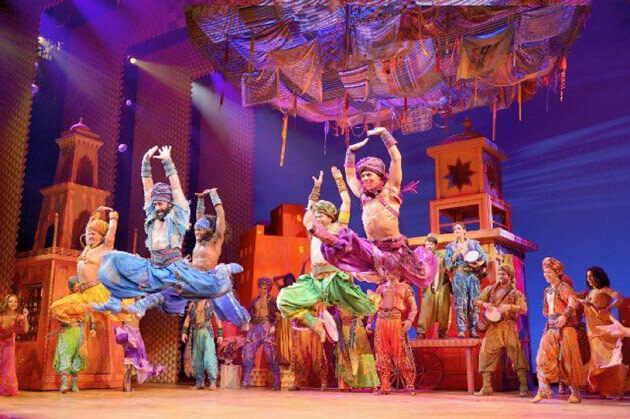 Disney’s Hit Broadway Aladdin – Running through January 7, 2018, Disney’s hit Broadway “Aladdin” at the SHN Orpheum Theatre is the perfect activity to bring the kids for wholesome family fun. The beloved animated movie following a street urchin and his three wishes comes alive on stage in an unforgettable performance filled with colorful costumes, exciting choreography, and your favorite songs from the original film. Walk down memory lane and get your tickets before they sell out! Behind the Scenes at AT&T Park – Don’t let baseball’s offseason fool you! 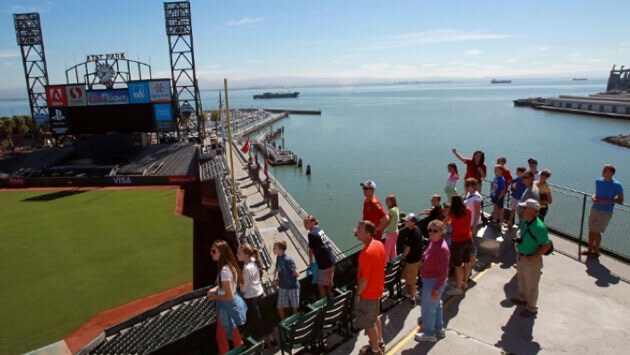 The AT&T Park offers behind-the-scenes ballpark tours for Giants fans and baseball enthusiasts alike. Visit the player and staff facilities, as well as other amenities like the field warning track, Giants’ dugout, clubhouse, press box, a luxury suite, and more. Join a group in any of the regularly scheduled tours, or plan a customized, private one of your own — the perfect gift for the sports lover in your life. The park is also conveniently a stone’s throw away from One Mission Bay — you can’t go wrong with that. Tickets start at $12. Holiday Lights & Chocolate Tour – If you’re a chocolate fan, this tour is definitely for you. Hosted by Gourmet Walks, this three-hour walking and tasting tour takes you to a myriad of gourmet chocolate shops to enjoy copious amounts of, you guessed it, chocolate. Tastings include infused holiday chocolates, unshelled truffles, Parisian macarons and hot chocolate, a blind chocolate bar tasting, and more. 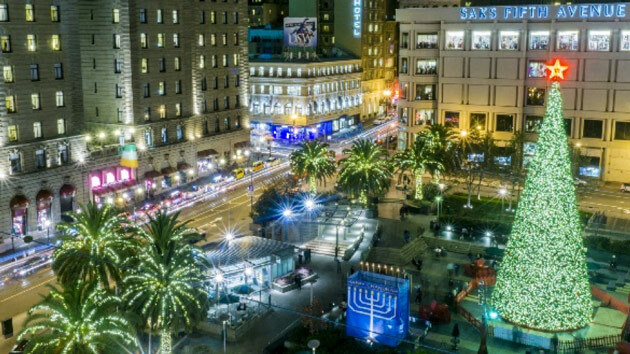 While enjoying your sweet treats, the tour will take you to see the Christmas tree and lights in Union Square, Embarcadero Center, and Westfield Center. Tickets are $55.